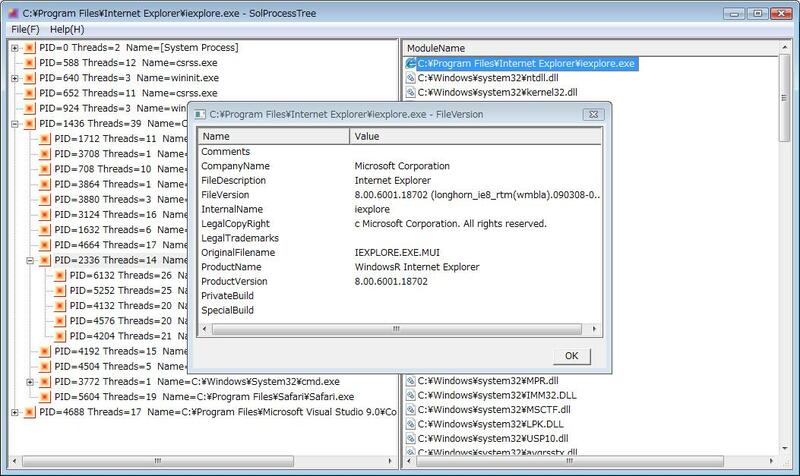 SolProcessTree is a Windows GUI tool to view a tree structure of all processes of a local computer. See Figure 1. 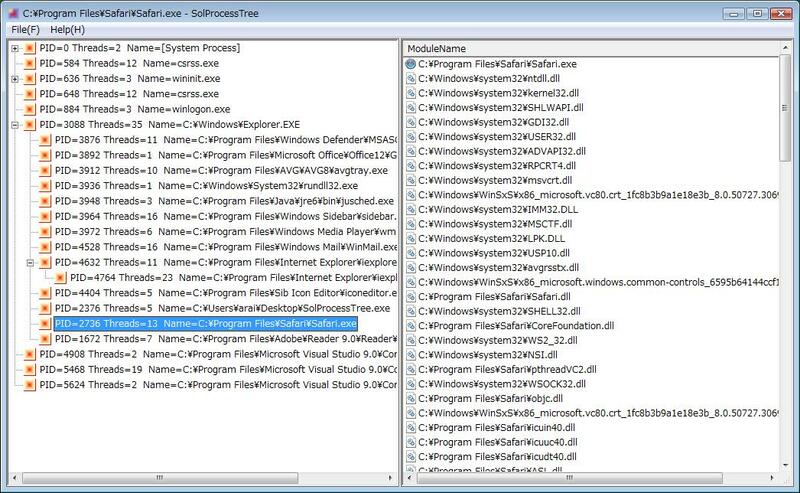 This is a tiny tool to view a tree hierachy of processes, threads count of a process and a list of module names of a process. .
SolProcessTree can be used to show visually a hierachy of processes and dependent module names(*.exe, *.dll) of the processes. 2009/09/14: Modified to show 'FileVersion' information of a module file of a process. See Figure 2. 2009/09/28: Modified to show 'File Property' information of a module file of a process. See Figure 3. 1. 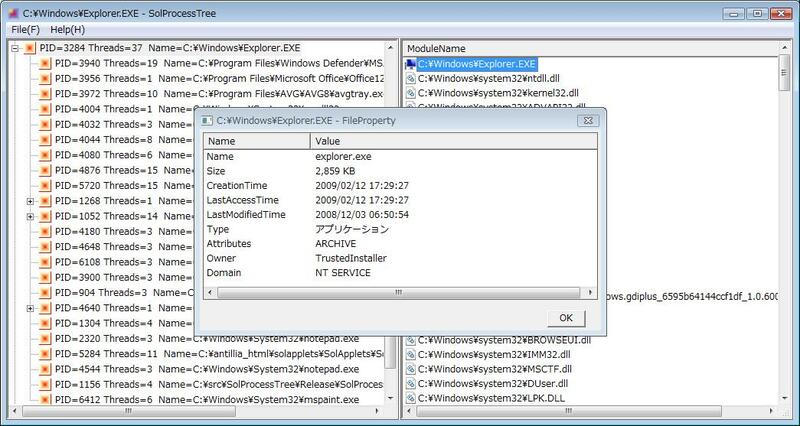 Run SolProcessTree program on your desktop, then a Windows window will be displayed. of a process on the local computer will be shown in the left treeview.See Figure 1. 2. To show the latest information, select [Refresh] item of a pulldown menu for [File] menu. 3. To show a version of a module file, select a file name in the right listview pane. Click a right button of mouse on a file of the listview, and a context menu will be displayed. of the selected file version will be displayed. See Figure 2.